The Australian Greens have proposed upgraded electricity transmission infrastructure across Australia that would see South Australia become a renewable energy exporter. “South Australia has it all – wind, geothermal and solar – and it should be exporting clean energy to the rest of Australia and the world,” said Greens leader Senator Brown, who was in Adelaide on Monday. The Greens South Australian renewable energy plan includes connecting the state directly to Queensland’s electricity grid to allow renewable energy to be exported to Queensland and the upgrading of power transmission lines from Port Augusta to South Australia’s North East to service solar energy and geothermal projects. The Greens would also phase out the brown coal-fired Northern and Playford power plants. According to the Greens South Australian Senate candidate Penny Wright, four potential wind energy projects on the Eyre Peninsula could more than double South Australia’s wind-sourced electricity generation capacity to 7500 megawatts if better transmission infrastructure were available. This increased access to mains grid infrastructure could provide up to 3000 jobs in the construction phase and 250 ongoing positions. 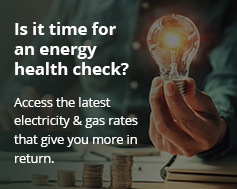 Revenue from electricity sales would funnel $158 million into South Australia’s economy and save 2.75 million tonnes of carbon dioxide across the national grid each year. Senator Brown also said there needed to be an inventory of South Australia’s renewable energy potential to ensure investment in the grid is geared to meet future renewable energy production. South Australia’s 1000th megawatt of wind power capacity was brought online in July. Earlier this year, South Australia’s Premier, Mike Rann, said the state would meet its first renewable energy target of 20 per cent of electricity generated from renewable energy ahead of the 2014 schedule and that South Australia was well on the way to achieving the next target of 33% by 2020.